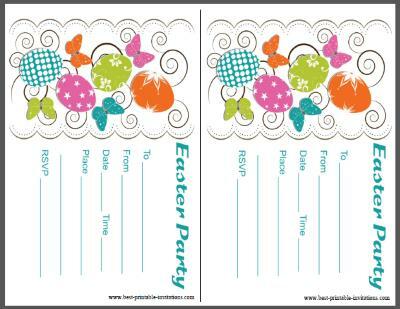 Do you need some free printable Easter party invitations? 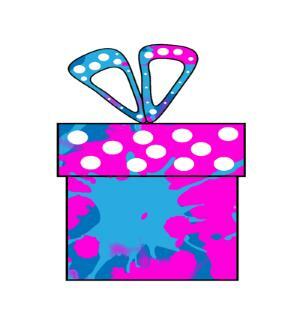 I have a whole range of free invites available for download. No registration needed. Just choose your favorite invitation! 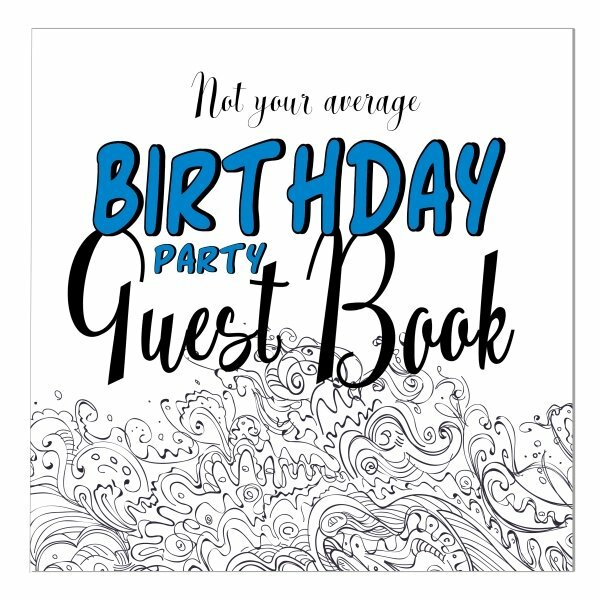 This page contains two invites perfect for kids (and grown ups!). Two very unique designs that print two to a page. Print and cut them apart, then they are ready to use. 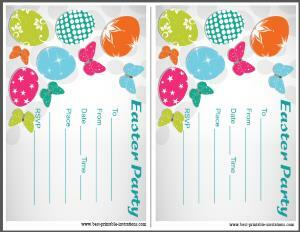 Stylish eggs and butterfly design. 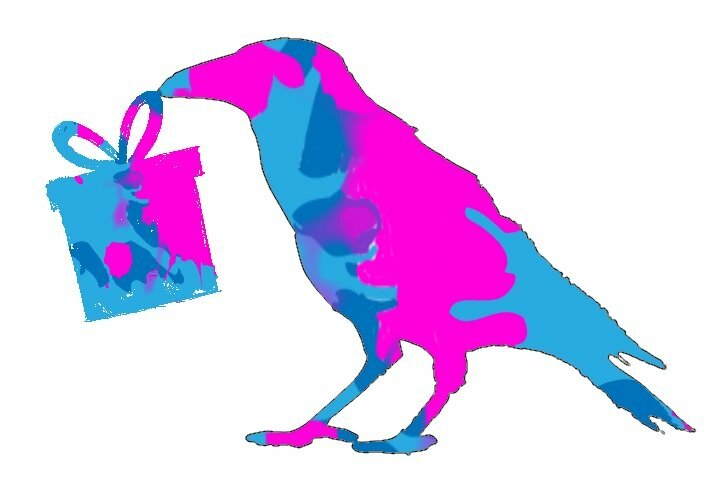 This one has a lovely touch of color on a white background. It prints out beautifully without using up a lot of your ink! 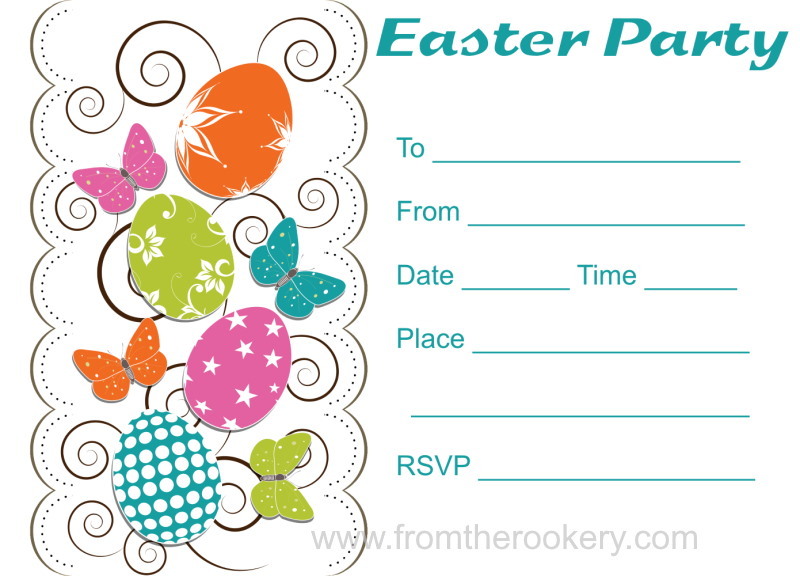 A lovely way to invite guests to an Easter event. Possible this one would be more for an adult party than for kids? 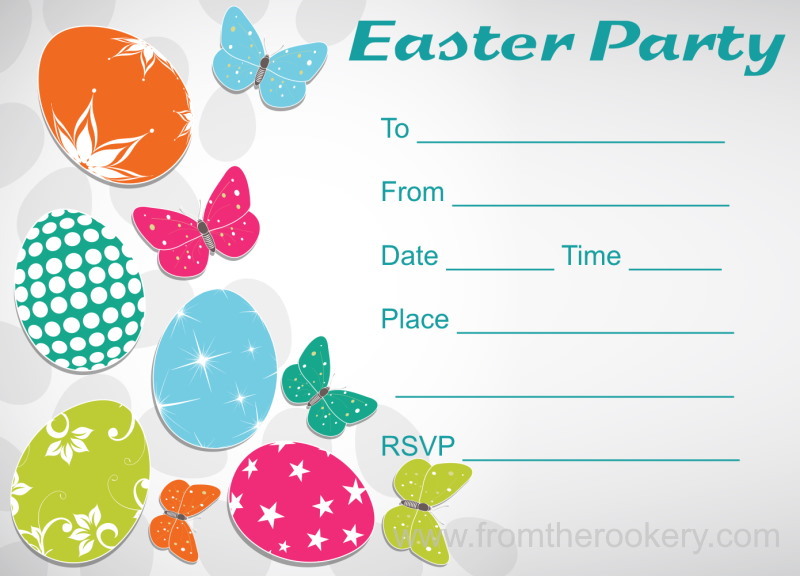 Although you might not agree :) This invite card also features beautifully decorated eggs with butterflies. 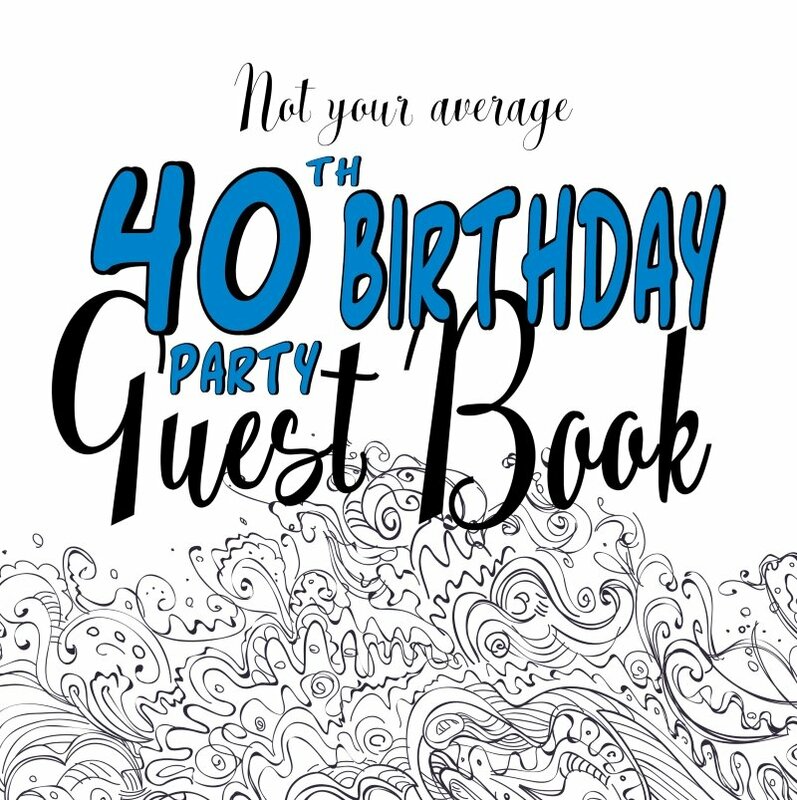 The stylish grey background does use up more ink than the other invitations, so do stock up before you print. 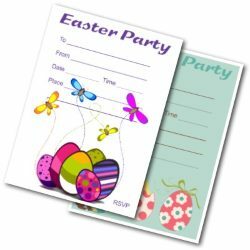 Easter is a wonderful reason to throw a party for both kids and adults. 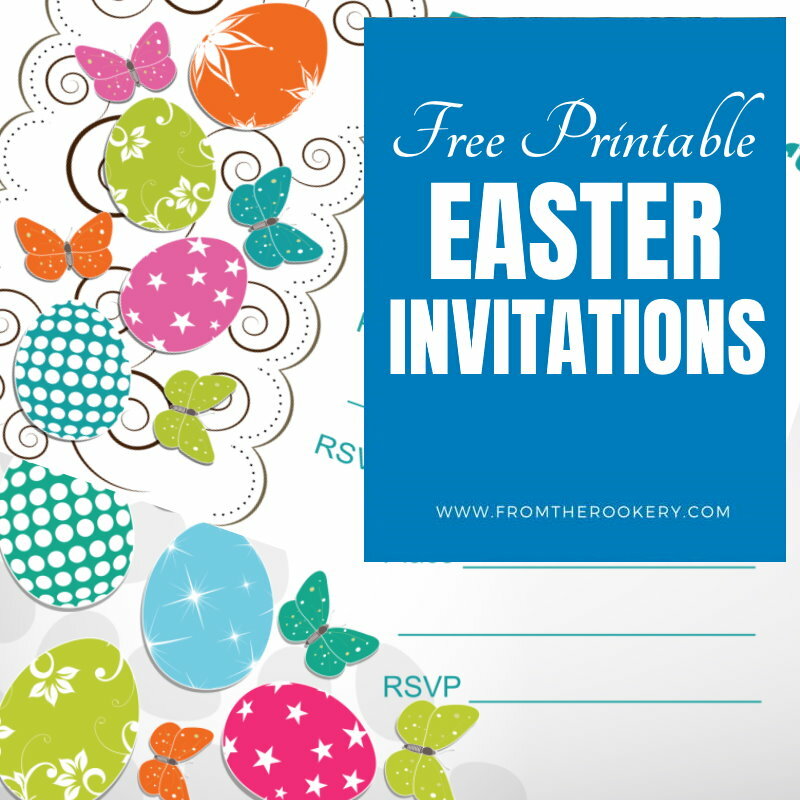 I hope these printable invitations make it easier for you to invite your guests with style. 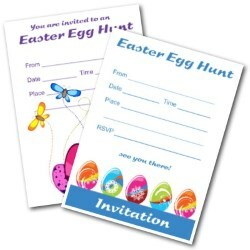 Make sure you send out the invites in plenty of time - people get booked up pretty quickly. If it is a kids party then I suggest you set an end time as well as a start time - unless you are a pretty relaxed person who loves to spend time with other people's kids! 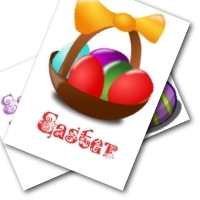 One of the traditions you may like to bring back for your party, is that of the Easter bonnet! Why not get your guests to make and wear a bonnet to your party. You could give a prize for the best one. I still have wonderful memories of creating my own Easter hats as a child - complete with ribbons, decorated paper eggs and those little fluffy yellow chicks you can buy! So a great way to add to the memories of your guests perhaps?